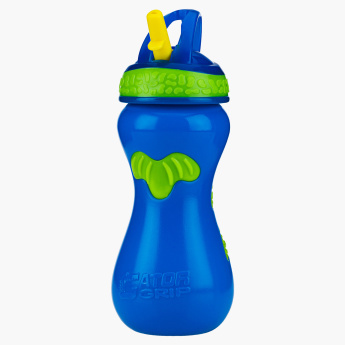 Nuby Grip Sipper - 450 ml | Blue | Perfect for little one with styling and cool design and easy grip. An ideal sipper like this one is apt when your child is on the go. It has a flip top that prevents water from spilling and the narrow design makes it easy for your kid to hold.